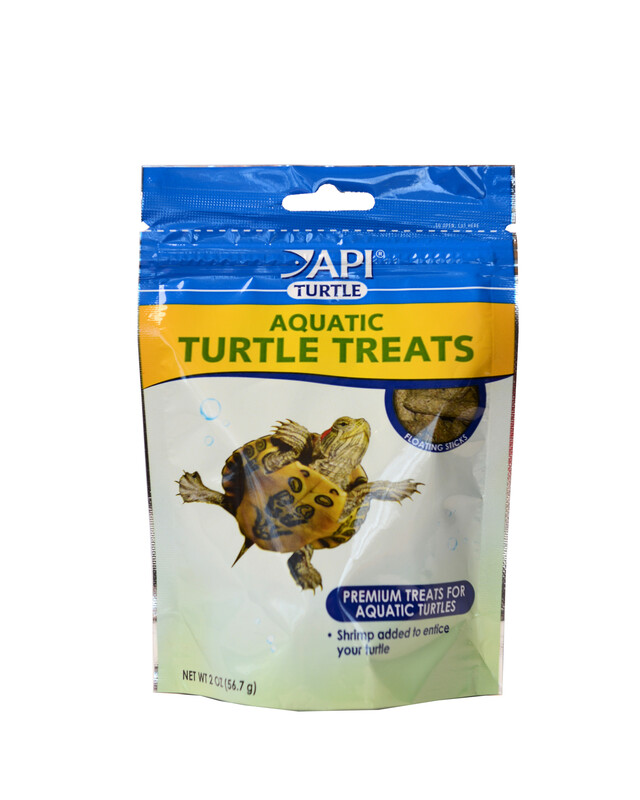 API Aquatic Turtle treats are a fun way to entice your turtles and other creatures including newts and aquatic frogs to the surface and watch them feed. These premium all natural treats have shrimp, fish meal and other healthy ingredients that your animals will love. 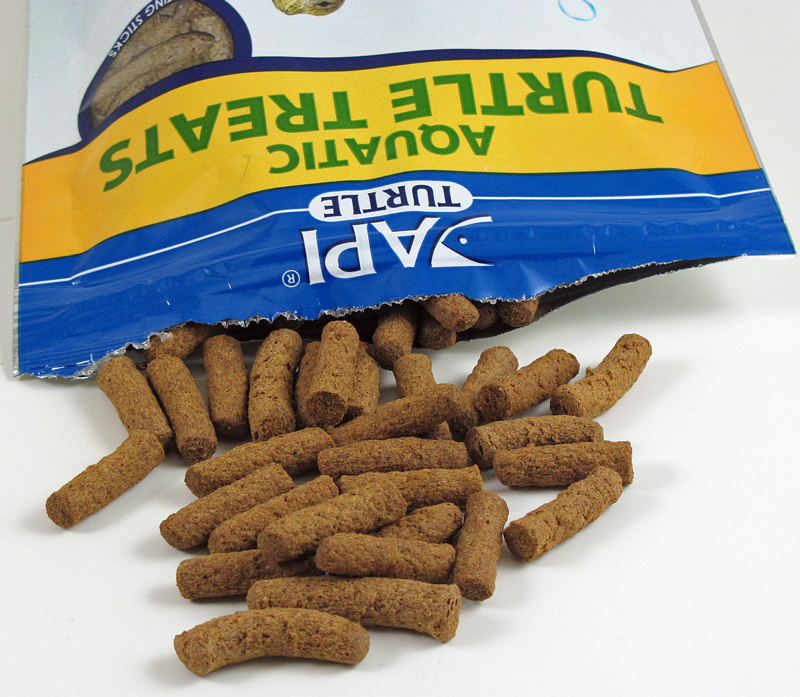 Turtles, Newts and Aquatic Frogs eagerly eat this highly palatable new food due to the premium quality ingredients. Inexpensive fillers are never used. This results in more food being eaten and less waste in the tank to be cleaned up. Use as directed and don't overfeed. This is a special treat.